To call W. A. Dwiggins a consummate American type designer, calligrapher, book designer, and illustrator is just to get started. Gifted with a superb literary sensi­bility and a flair for the dramatic, he wrote plays, sto­ries, and crafted marionettes in a theater of his own devising. His work is on display at the Boston Public Library, but more to the point is that Bruce Kennett has brought Dwiggins to life in this impeccably written and designed biography. And by design I mean the book is in every respect Kennett’s creation. Plenty of biogra­phers write books, very few illustrate them, and none so far as I know create the physical product. This book may well be unique in the history of biography. Kennett does what is expected of a biographer — in this case bringing his subject to life through his let­ters, his work, the testimony of his friends and fam­ily and fellow designers. To read about Dwiggins is to discover the fascinating history of book design at the highest level, including Dwiggins’s decades-long as­sociation with Alfred A. Knopf. Then, too, Kennett explores Dwiggins’s fascination with the machinery of printing and illustrating, adapting at every turn as the printing industry developed new methods. Often ahead of his time when considering the implications of technological breakthroughs, the indefatigable Dwiggins found time to do both inventive commercial jobs and advertising assignments, as well as fine art. Too often the marketplace is seen as inimical to great art; Dwiggins’s example shows that in fact a great artist can attune himself to many different audiences with­out sacrificing his integrity or his good humor. All this and yet more, because Dwiggins suffered ill health for much of his life, including a life-threatening diabetes, which he successfully managed with exquisite care and intelligence. Dwiggins had help, to be sure, but that help came in the form of tributes to a great artist whom so many wanted to thrive and succeed. In the end, what Kennett reveals is one of the heroic lives of the twentieth century, who sacrificed none of his humanity for his art, and, instead, created art that made him and others better human beings. Bruce Kennett understands Dwiggins’s wit, his original sense of humor and unique obliquity of approach, and his ability to transform those ingredients into graphic images that still intrigue, astound, and captivate. Bruce’s book is a marvelous presentation of the man, his work, and his imperishable contribution to the graphic arts. This is a book to spend a year with. It is many things, but most of all it is proof positive that if there is any doubt about the origin theory of graphic design, Dwig­gins did more to promote, diversify, and integrate the graphic, typographic, and printing-arts disciplines than anyone of his generation. Everybody should know about W. A. Dwiggins — not just because we say he coined the term graphic design— not just because he did so much as a designer, as an art­ist, as a letterer, as a calligrapher, and as a stage crafts­man — but because it’s a wonderful book to read. There aren’t that many books in the literature of graphic de­sign, or design in general, that you can curl up with, and this is one you can — although it might hurt your lap. One of the many strengths of this book is that it deals both with Dwiggins’s familiar typefaces — Metro, Electra, Caledonia — and with his less well-known types, illustrated with drawings or trial cuttings. The result is the most complete conspectus we have of an extraordinary variety of type designs, and an appreciation of Dwiggins’s virtuosity in full flower. Wonderful, extraordinary, amazing . . . I just got the Dwiggins book. It is really the best de­sign book I’ve ever seen. The balance of text and art is perfect. And as an old layout artist, I appreciate how Bruce Kennett has respected the margins while playing with the scale. Great pacing. The quality of reproduction, and its understated use of color correction adds to the book’s authenticity. Bruce made me understand the extent of WAD’s genius. I was always impressed, but I had no idea. It is difficult to imagine a better biographer and designer for W. A. Dwiggins than is Bruce Kennett. A pas­sionate admirer of “WAD” and his work, Kennett has devoted the last fifteen years to producing what has to be the final, most beautiful word on his hero in W. A. Dwiggins: A Life in Design (Letterform Archive, 2018). He has performed the challenging feat of providing a vast amount of material about Dwiggins for the profes­sional while writing an engaging narrative for the gen­eral reader. William Addison Dwiggins (1880–1956) could turn his hand to almost anything. He was a maker of all sorts of things, but primarily a book and graphic designer, an artist, a writer, a calligrapher, a puppeteer, and a build­er. He was also charming company, a wit, and a loving husband and friend. He worked harder than anyone else you are ever likely to come across, leaving a body of work that has to be seen to be believed. Fortunately, you can do just that in Kennett’s book because it is lavishly illustrated, and you can follow the progress of Dwiggins’s work from his early days right up until the end of his life. Beyond that, there are three sections: on his type designs, on his marionettes, and on his writings. Kennett himself is a graphic designer (he specializes in books), a calligrapher, and a gifted photographer who has plumbed the extensive collection of Dwiggins’s work at the Boston Public Library, as well as material from Letterform Archive and his own major collection. He also photographed Dwiggins’s puppets and puppet theaters, which are on permanent display in the Boston Public Library. W.A. Dwiggins: A Life in Design is an absolutely gor­geous book — a book to have, to hold, to read, and to enjoy. Years ago when I would be tired or feeling stressed I would come home and read something, anything, that Dwiggins wrote. It didn’t matter what, although Lay­out in Advertising was always a favourite. Obviously I’ve been a fan of Dwiggins for a long time and I re­ally thought I knew a great deal about him. But, in the nicest possible way, Bruce Kennett has shown me that I hardly knew the man at all. 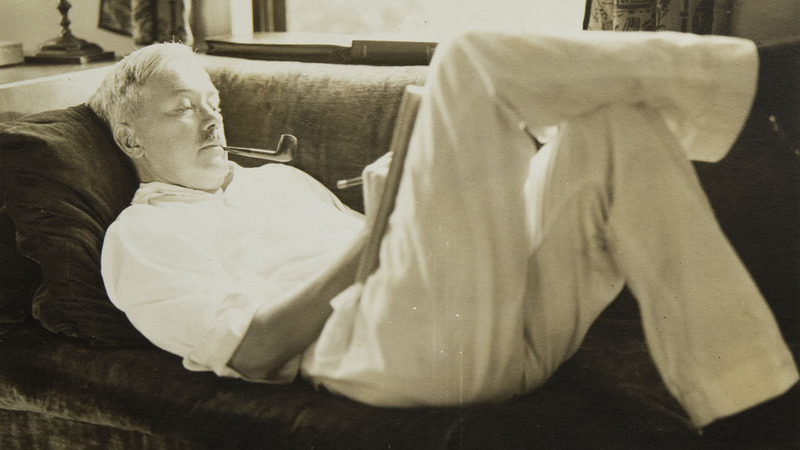 Dwiggins’s rich life is chronicled in great detail without ever becoming dry or academic. The W. A. Dwiggins I have known and loved for so many years is there on every page, only now I feel as if I am finally getting to know him. I am very excited about Bruce Kennett’s new biographyof W. A. Dwiggins, who was not only a pioneering visual artist, but also one of the innovative masters of 20th-cen­tury American puppetry. Like many acclaimed puppe­teers — including Edward Gordon Craig, Tony Sarg, Paul McPharlin, Janie Geiser, and Peter Schumann — Dwig­gins was deeply talented as both a graphic designer and puppeteer: two intricately related art forms whose atten­tions to form, utility, and beauty each enrich the other. W. A. Dwiggins: A Life in Design, while rightly focused on Dwiggins’s invaluable contributions to the field of graphic design, combines that analysis with a study of the Hingham artist’s radical explorations in modernist marionette theater, which stand even today as a remark­able contribution to the field. While Kennett’s book will undoubtedly be acclaimed for its insights into Dwig­gins’s design work, puppeteers and puppet-interested audiences around the world will be excited and inspired by its perceptive analysis of Dwiggins’s equally essential puppet modernism. W.A. Dwiggins: A Life in Design reminds us that living is an art. Bruce Kennett has written, designed, and pro­duced a highly satisfying account of the life of the graph­ic artist and designer that fuses the life and the work in a way that Dwiggins himself would have appreciated. When I turn the pages of this book, I am filled with the best sort of jealousy — jealousy of the skill, curiosity, and incredible output of William Addison Dwiggins, as well as jealousy of the passion, heart, and determination that Bruce Kennett has managed to pour into print. This book should be required reading for developing not only a passion for design, but also for life. Bruce Kennett’s history shows how Dwiggins managed to implement his own (sometimes unconventional) ideas without impeding the reader’s experience. The telling is so well interwoven with the stories of his col­laborators and influences, it should be read by type de­signers of all ages who have today’s readers in mind. We have a custom of putting one item on a table we pass by often, to enjoy it repeatedly. I knew Dwiggins was going to stay there a long time when the first random page I opened had a photo of the back of a woman puppet lying in the Canova Venus pose. There are so many witty and beautiful surprises in this book that I think it will be the one I get out the most often in years to come. Copyediting onscreen, without images, your prose was lyrical, and you introduced me to a world about which I knew nothing. How many times did we back and forth with versions in Word? Seven? a bazillion? Yet every time I read the 1956 chapter, at some point I shed some tears. During the proofreading phase, to save distraction, we asked Collective Copies [Doris’s local outfit] — thank you, CC, for being crazy fast! — to print the chapters without color. How many versions of those did we do, making corrections and small changes by phone? Seven? a bazillion? And every time, at one point in the 1956 chapter, I shed some tears. It was only when I received my copy of the bound book did I see it in its entirety, and it’s glorious, spectacular, splendid . . . Only then did I understand how your quietly sumptuous words (which had already elicited myriad sighs of “BK, BK”) — your voice — match WAD’s friendships, philosophy, and work, whether in design, writing, or those extraordinary marionettes. You write in WAD’s faded bright colors and your own bright faded colors. You were generous and even enthusiastic when I asked a design question (one that no one in the field would have asked) — your answers were illuminating and fascinating. If my goal as a jaded old person was to learn something new every day, I learned from you enough for a lifetime. And you did . . .
All along, I told you that this was my favorite project in 22 years of involvement with other people’s words. In addition, it was clear from your introduction (and later, from Steve Heller’s foreword) and from the quotation leading off chapter 1 that this would be a masterpiece. The only way I’ll experience such joy again is if you write and design another book.